When Do You Pay Your Deposit On A Property? When Do You Pay Your Deposit On A Property? 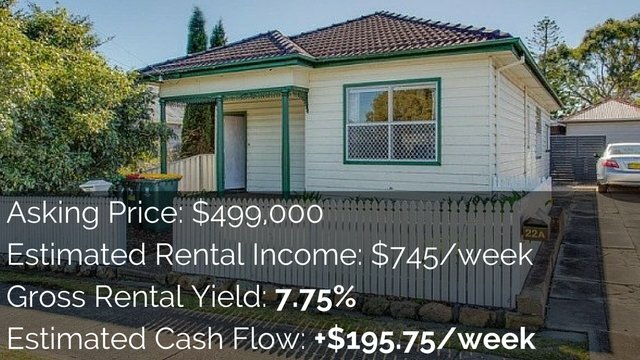 When you purchase an investment property how much of a deposit do you need to put down on the day your offer is accepted and how much of a deposit do you need to put down when the contract goes unconditional, and then what happens at the end when you’re actually settling, what happens with deposits and money and so forth? Alright Sofia, I just want to start by saying that this does actually vary from state to state. So depending on what state you’re in would depend on exactly how this rolls out, but it is pretty similar so this will give you a general idea. 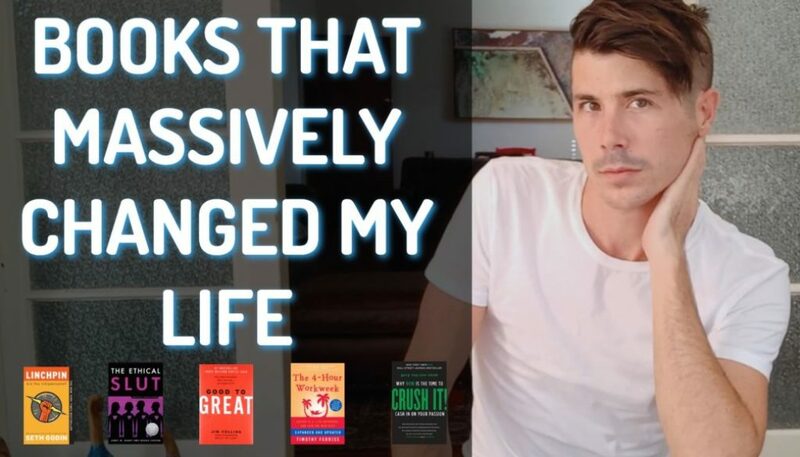 I’m going to talk more specifically about the state that I know the most about which is New South Wales because I live there most of my life and I just recently become a Queenslander. 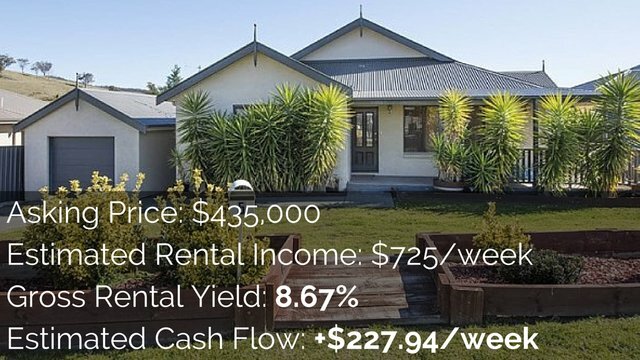 So in New South Wales, what generally happens is that you would make an offer on that property; once the offer is accepted and you receive the sale of contract you would put down 0.25% deposit which would start the cooling off period. So depending on the value of your home, 0.25% will determine how much you actually need to pay. Standard cooling off periods are about seven days which gives you time to access the sale of contract, gives you time to negotiate things, gives you time to do your due diligence as well. Got your deposit saved and ready to buy an investment property but need some help? My buyer’s agency of choice is offering you a complimentary strategy session to get clear on your goals and how to move forward. 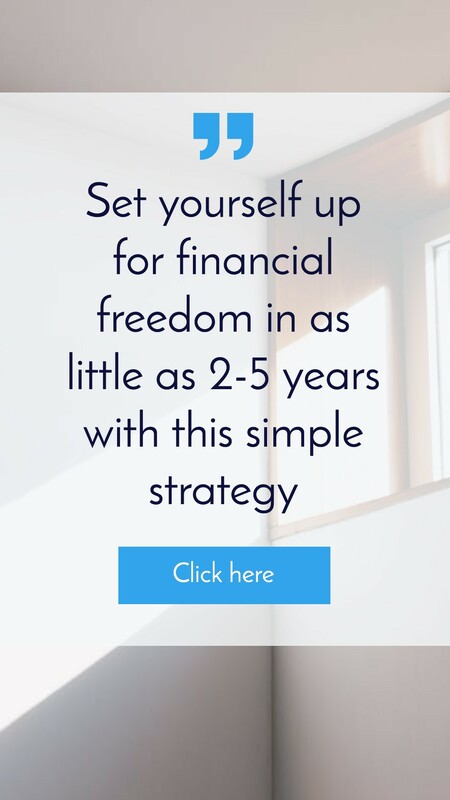 If you’re ready to take action and grow your portfolio click here to book your free strategy session. I think what a lot of people do, I cannot 100% confirm this is actually check out the sale of contract first before they put down that 0.25% deposit. You want to make sure there is nothing funny in there because in most cases that 0.25% deposit is going to be non-refundable. So let’s say we go ahead we pay that small deposit start the cooling off period and then at the end of the cooling off period sometimes we can extend that if we want more time to get finance approval or whatever it may be. We then pay our deposit and then the contract goes unconditional. So what this means, you say that you need to pay a 10% deposit in this instance but that is not actually true. The amount on the deposit that you need to pay after the cooling off period is purely dependent on what is in the sale of contract. Standard agreements do tend to say 10% and that’s what most people go with, however, this is negotiable and depending on your situation you may be able to explain to the seller the kind of financing you’re arranging and that you would like to put down a 5% deposit instead of a 10% deposit. I interviewed a man by the name of Brad who’s a mortgage broker in episode 80, you can find that at onproperty.com.au/80 and we talked about all of the steps that you need to take in order to get a loan but inside that we talked a lot about paying the deposit, talked about on settlement date and so if you want to hear it from the mortgage brokers mouth then go to onproperty.com.au/80. But basically when it comes to paying your deposit the bank is not going to lend you money to pay that deposit. The bank only releases funds when they have security and that’s on the day of settlement, they transfer the funds and they receive the title for the property or security on the title however it works at the same time. So when it comes to paying your deposit after the cooling off period; first thing know that you need to have that money and secondly know that deposit can be as much as you want. You can also put in there conditions to say that the deposit is refundable based on a variety of things. It’s really up to you what you put in there. You could say that deposit is refundable if you can’t obtain financing; it’s only conditional after you talk to your advisor or after you talk to your partner. I’ve heard people say that their partner can be their cat and they write these things into contracts and it just allows them a clause to then get their deposit back if they decide not to go ahead with the property. So you have your standard sales of contracts but they can be milled and can be changed to suit your circumstances. 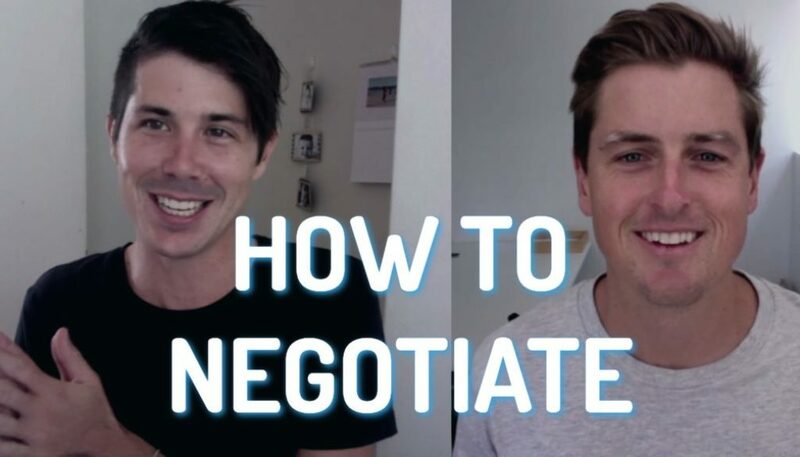 Now obviously you have got to get the seller to agree to all of these things but that’s up to you to negotiate that and to manage that on a deal by deal basis. Then on settlement day what happens is you don’t actually have to be there which I thought was really interesting. You get all of your loan documents, all of the real estate documents everything before hand, you sign everything off send them back to you solicitor or your conveyancer and then on the day the vendors conveyancer or solicitor meets with your conveyancer or solicitor and a representative from the bank, they exchange contracts, all the monetary stuff happens and you get a call from the real estate agent saying you can now come and pick up your keys and your mortgage starts with your bank and you start paying interest and all that good stuff. 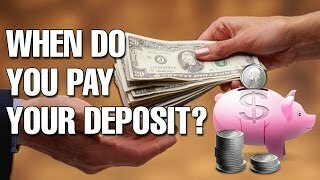 So in summary, what deposit do you need to pay and when? Well initially you’re going to need to pay that 0.25% deposit to start the cooling off period however if you’re in a very slow market and this is what I did with my first deal which actually fell through is, I opted not to pay that 0.25% deposit and not have a cooling off period. So we just went straight to the contract of sale and what this allowed me to do was allowed me to take my time getting financing, take my time doing all my due diligence which took much more than a week and basically ended up falling through because the valuation did not come through on the property. It was $10,000 under the purchase price, what I was purchasing it for and so it didn’t go through but I had actually opted not to have that cooling off period. Obviously that opens me up to a level of risk because someone could come in and say I want this property, I’m going to the deposit and start the cooling off period but I was confident at that time that wouldn’t happen. So you can take that risk if you want again you need to get them to accept those terms and that comes down to negotiations. But in most circumstances you pay the 0.25% deposit, you then pay whatever percentage you want when the contract goes unconditional so that might be 5%, 10%, 20%,1%,0% whatever it is you can negotiate and there is the possibility to put clauses in there to make it so that the deposit is refundable if you don’t go ahead for whatever reason. And then on settlement date is when your bank and solicitor meets with their solicitor and all of those things change hands and the money changes over as well. So I hope that explains to you, obviously every states going to be different, so look into your particular state. It’s really easy to find out, you can do a simple Google search. If you’re having trouble just call up and speak to a real estate agent and simply ask them ok I’m looking at this potential property, if I make an offer and it’s accepted, how much of a deposit do I need to pay and what’s the process. You can just ask them, it’s something that they routinely do and so they will be able to give you a straight answer very easily. I hope Sofia that has helped answer your question and give you some clarity on the process. Again I do recommend that you go to onproperty.com.au/80 and listen to that interview that I did with Brad from oceanhomeloans.com.au because he really opens up the doors as to exactly step by step what happens and you can really get an idea for what the process is in obtaining finance, making offers and paying deposits. Alright guys I hope that has helped everyone out there not just Sofia. If you have any questions please email me ryan@onproperty.com.au or you can go to onproperty.com.au/contact and you can fill out that form to send me an email as well. 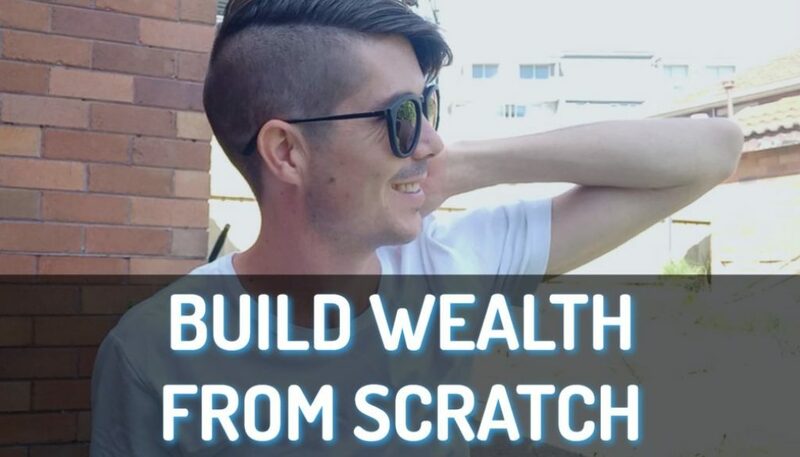 Lastly I just want to say if you want access to my free report that shows 10 real positive cash flow properties in Australia go to onproperty.com.au/free enter your email address and you will get instant access to that. So until tomorrow stay positive.